MADAM CHANCELLOR, Dr. Lisa Sennerby Forsse ignored the conventions of a traditionally male dominated field to emerge as one of Northern Europe’s most influential leaders in forestry practises and research. After obtaining her Master’s and Doctorate degrees from Stockholm University, Dr. Sennerby Forsse worked as a senior scientist and soon thereafter became a program leader in the Department of Ecological and Environmental Research at the Swedish University of Agricultural Sciences. She continued her advance in leadership roles when in 1994, she became Director of Research at the Swedish Forestry Research Institute. In 2000, she was appointed as Director for the Department for Natural Resources in the Swedish Environmental Protection Agency, and the following year she was named Director General of the Swedish Research Council for Environment, Agricultural Sciences and Spatial Planning. In 2006, she returned to the Swedish University of Agricultural Sciences, where she remains in the institution’s foremost position as Rector, from which she has provided leadership and guidance to an extraordinary number of government, scientific and environmental organizations. The examples include service on the advisory boards of the Swedish National Agency for Higher Education, the Swedish National Veterinary Institute, the European Science Foundation, and as Chair of the Swedish Scientific Council for Climate Research. Her current appointments include Board Member of the Research Council for the Nordic Council of Ministers and Sweden’s branch of the World Wide Fund for Nature. The extraordinary depth and range of her activities have been recognized through numerous awards and honours, including the Royal Gold Medal from the King of Sweden for Outstanding Achievements in Agricultural Sciences. 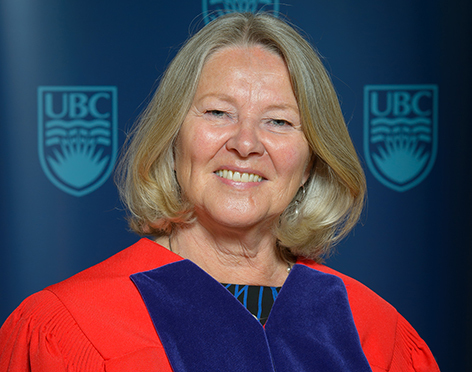 Madam Chancellor, in recognition of her pioneering leadership and for her impact on the science and practise of forestry in her homeland, I ask you to confer the degree Doctor of Science, honoris causa, upon LISA SENNERBY FORSSE.